DAY 1 - Easter Island: Easter Island is also known as Isla de Pascua or Rapa Nui and is an open air museum. The coastline around the island is marked by the gigantic stone statues. This is an area of Chile located on a triangle of volcanic rock, 2000 miles from the nearby residents of Chile and Tahiti. It is the one of the world’s most insulated place. DAY 2: Rapa Nui’s mysterious moai statues stand in silence but speak volumes about the achievements of their creators. 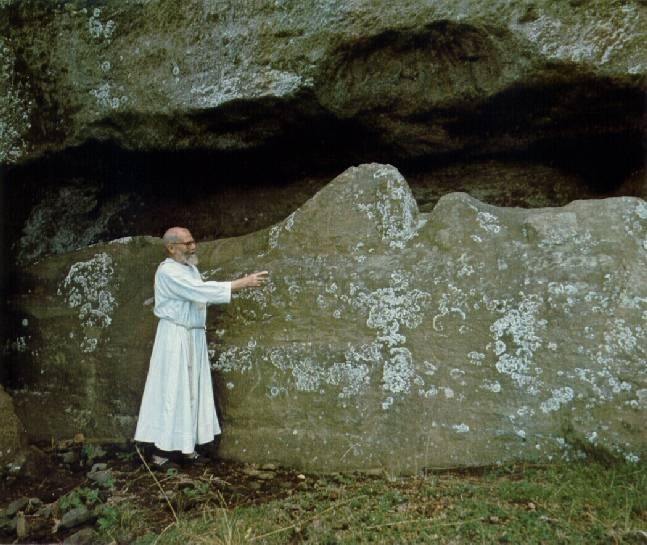 The stone blocks, carved into head-and-torso figures, average 13 feet tall and weigh 14 tons --a huge amount of rock is found below the ground! The effort to construct these monuments and move them around the island must have been considerable—but no one knows exactly why the Rapa Nui people undertook such a task. Most scholars suspect that the moai were created to honor ancestors, chiefs, or other important personages, However, no written and little oral history exists on the island, so it’s impossible to be certain. So...how did they move these heavy statues to the edges of the island? They said that "they walked there..." Watch this video for several theories. DAY 3: It is generally thought that the end of the Rapa Nui people resulted from an environmental catastrophe of their own making. It’s not clear when the islands were first settled; estimates range from 1000 to 2000 years ago. It’s also not clear how quickly the island ecosystem was wrecked—but a major factor appears to be the cutting of millions of giant palms to clear fields or make fires. It is possible that Polynesian rats, arriving with human settlers, may have eaten enough seeds to help to destory the trees. 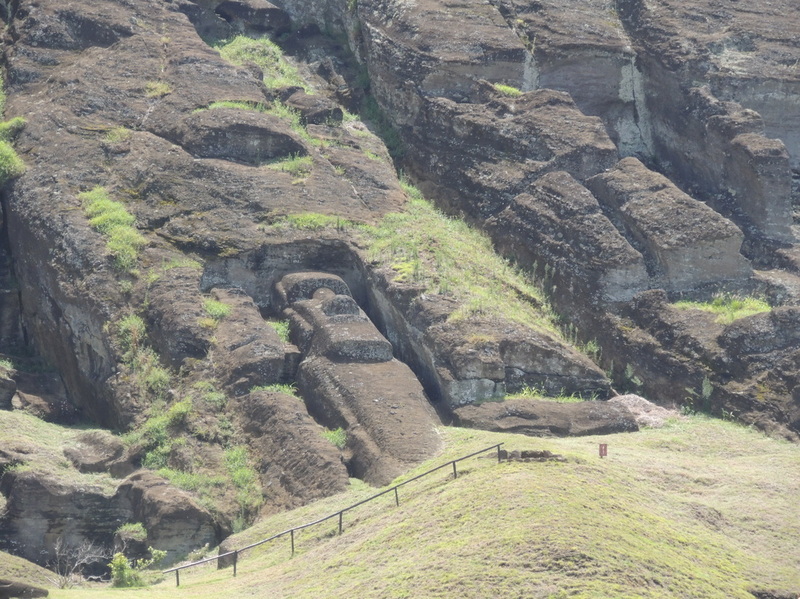 DAY 4: Today’s tourists are numerous, and most visit the Rano Raraku quarry, which yielded the stones used for almost all of the island’s moai. 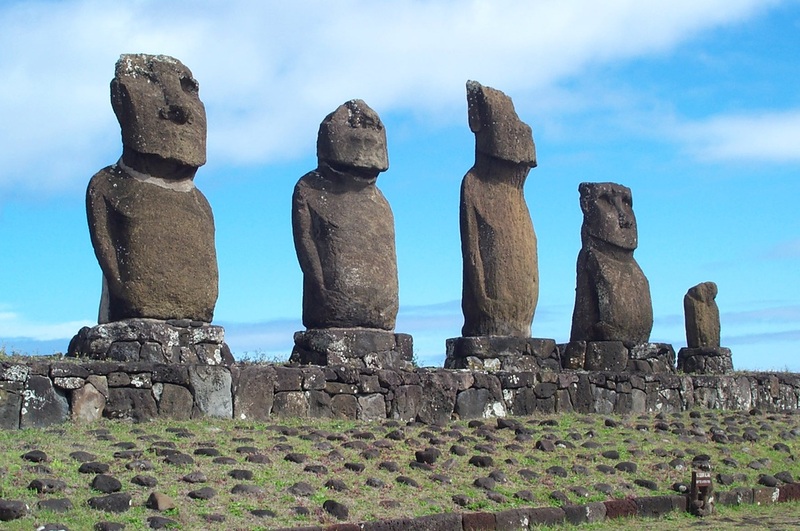 Rapa Nui’s ancient inhabitants left the quarry in a fascinating condition—it is home to some 400 statues, which appear in all stages of completion. 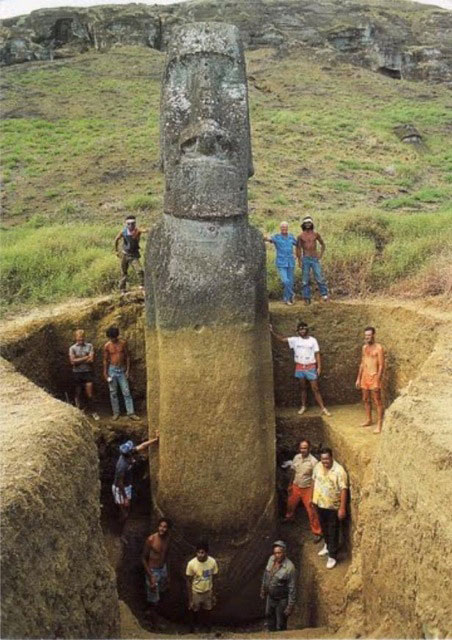 Meanwhile, across the entire island, many moai are reversing the creation process and deteriorating rapidly from priceless carvings back into plain rock. 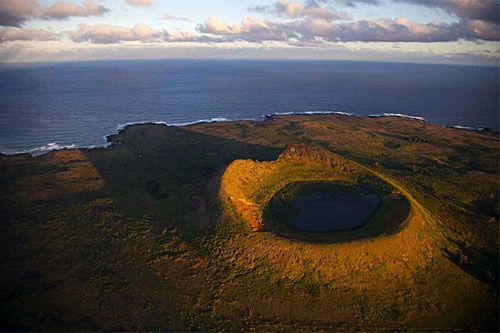 The volcanic stone is subject to weathering, and intensive conservation efforts are needed to help preserve Rapa Nui’s stone legacy in its present, awe-inspiring state. 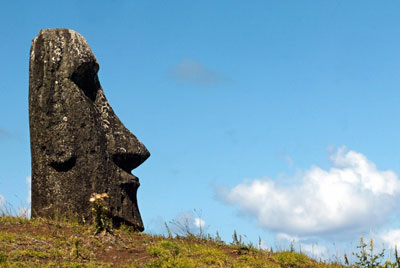 DAY 5: So... why is it called Easter Island? 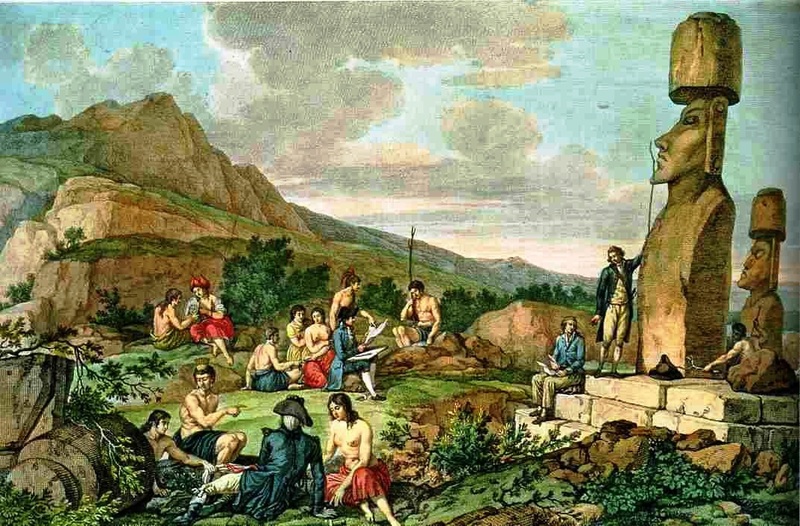 It was in the early 18th century when Dutch explorer, Jacob Roggeveen was sailing the South Pacific. 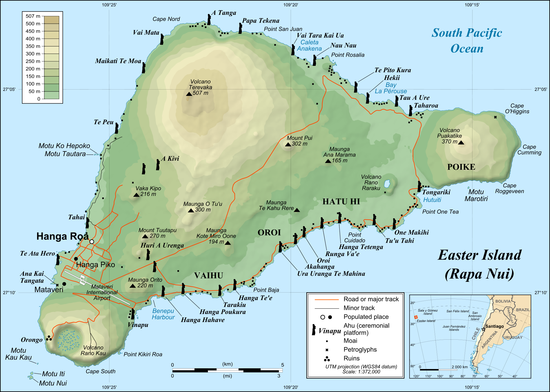 In his exploration, he “discovered” the island on Sunday, April 5, 1722 — which just so happened to be Easter that year on the Christian calendar. In honor of the day, he named the Polynesian island Paasch-Eyland — Dutch for “Easter Island” — and its name stuck throughout the centuries in different translations. 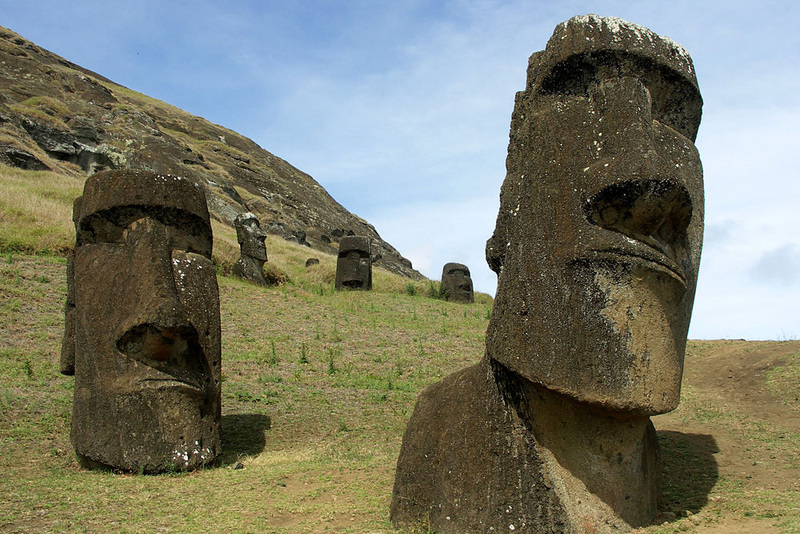 In fact, Easter Island is now under jurisdiction of Spanish-speaking Chile, where it is known as Isla de Pascua.